By just three votes, the California State Senate failed to pass the minimum threshold to move Bill 405 out of the Senate. The bill would have banned disposable plastic shopping bags beginning in 2015, while also imposing a fee on paper bags. The goal of this bill was to prevent the use of single use plastic bags that are responsible for litter that is not just unsightly, but also the cause of countless wildlife deaths every year. Reducing litter through banning plastic bags would also save the expense of cleaning up this mess. There are about 70 municipalities throughout the state of California that have bans in place. The failure of Bill 405 to pass will not impact those bans already in place, however, the same holds true for the rest of the counties and cities that do not have bag bans on the books. The patchwork of bans has done a lot to reduce plastic bag use and litter and this is a testament to the hard work and dedication of the folks who strove to make these bans a reality. 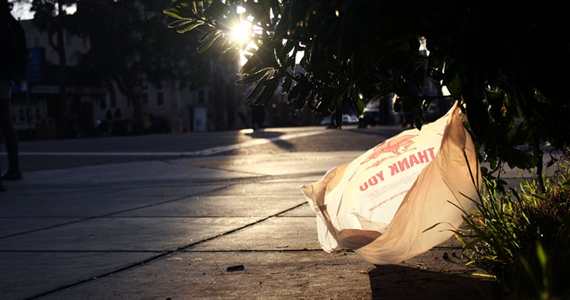 A statewide ban would have dramatically reduced the ill effects and damage plastic bags are responsible for and this would have sent a clear statement that the people of California are serious about protecting and preserving our shared environment. The goal of this bill was to prevent the use of single use plastic bags that are responsible for litter and countless wildlife deaths. This isn’t the end for Bill 405 – even though the measure didn’t reach the 21 vote threshold necessary to pass (the vote came in at 18-17, with four Senators refraining from voting), this measure could still be reconsidered before the Senate committee or the Senate floor. Democratic Senator Alex Padilla, who initially proposed the bill, hopes to get the measure back up for another vote next year. The plastic bag industry spent about $300,000 lobbying against the measure and there were claims that banning plastic bags would be at the expense of plastic bag manufacturing jobs. Padilla pointed out that many of the factories that produce disposable plastic bags could easily transition to making reusable bags. Armed with this info, hopefully Padilla will be able to reach the Senators who opted not to vote, along with some of the folks who voted against the Bill in order to rid California of plastic bags once and for all. Next Next post: What is CSR or Corporate Social Responsibility?